My name is Stoyan Boyadzhiev (StoyanB on Poker Stars). I am 28 years old and have been playing poker for the last 10 years. I have started with live cash games and MTT. 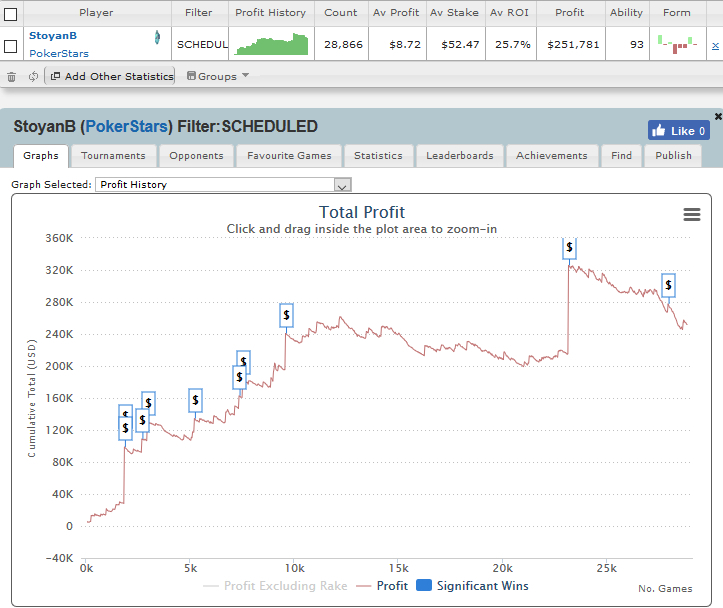 In 2012 I had some big scores in PokerStars and my career gradually transferred from live to online. From 2016 I have successfully added PLO cash to my sessions which I play in different rooms and stakes. 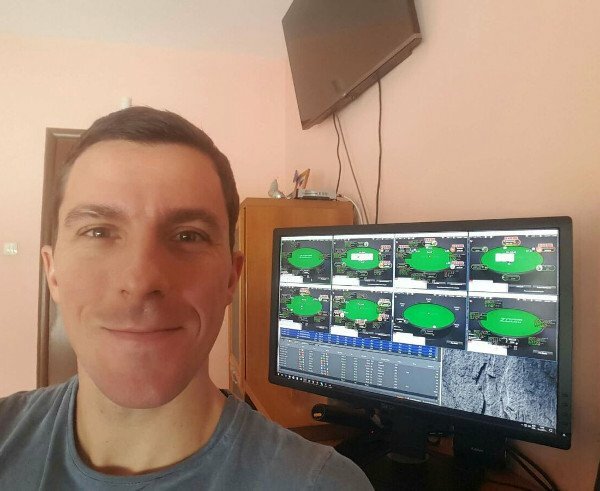 After taking some private lessons I became a winner at 200PLO in PokerStars. I also added some Hyper-Turbo SNG satellites to my MTT volume. 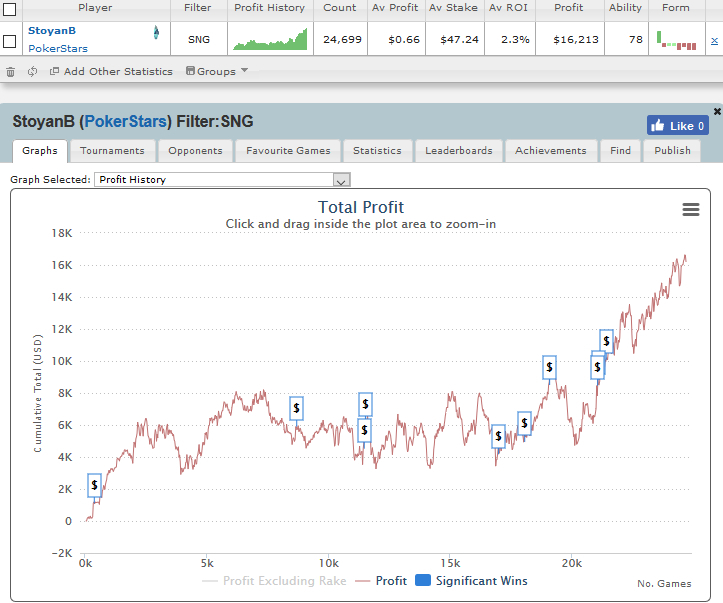 For a detailed review, you can check my Sharscope MTT & SNG graphics. Nowadays I play mostly mid stakes MTT. My preferred speed formats are Normal, Turbos and Hyper-Turbo, because I think of myself as an expert at push/fold scenarios and ICM considerations. I can help people to become experts at reading stats and use that information in-game. I can also improve their game in late phases like the bubble and final table as well as introduce them to in-depth information about ICM. I work with my students via Skype. We start with a 15-30 min. free call with every student in order to discuss what we will work on and what is the best way to do it. Stoyan is very good and precise as a coach, he threw a lot of work analyzing my game outside our coaching sessions, that allowed us to do a lot more in those sessions, since we only had to discuss the weaknesses he already found. He is very prepared on the math side of the game and there was not a single question asked by me he didn't answer with percision, no matter the type of the question. He helped me improve a lot and changed my playing style entirely, for the better of course.He is really knowledged in push/fold scenarios and ICM considerations. He is always opened to discuss hands and situations, whenever needed. Combined with the fact that he is a great guy lessons became quite enjoyable.